Before understanding the benefits of VoIP for small businesses, we have to understand first that what VoIP is and how they contribute in formation of small businesses. Basically, (VoIP) Voice over Internet Protocol technology allows computer networks to make telephone calls like through the Internet. First the VoIP converts the analogue voice signals into digital data packets by supporting real-time, two-way transmissions of the conversations on the internet protocols. In this article you will get to know the benefits and Importance of VoIP for Small Businesses and online companies. How VoIP is Beneficial for Small Businesses? If one is looking for a hosted service, there are number of top VoIP providers that handle heavy lifting offsite by delivering calls of your respective software clients to your phones without much hassle. More specifically if one is using the phones that are certified for this service and uses plug-and-play feature for the service in question. An IP-based private branch exchange is needed, that is a VoIP-friendly version of the PBX phone systems which are used by many offices in order to route the calls to any of the appropriate networks and a device known as PSTN (Public Switched Telephone Network) gateway. The PSTN gateway lies between IP-PBX software as well as the analogue signals of the PSTN that converts calls to and from digital signals as necessary. The telephone systems in Sydney use this technology to incorporate long distance calls with their foreign clients. In general it can be said that, VoIP compresses the sound of the voice into packets of data and within few seconds, these data packets are being sent over the internet. As soon as these data reaches to the final destination, it is being converted back to sound. If we use VoIP for calling someone on traditional phone network (i.e., PSTN), then the call is being converted into sound once it reaches the network and then the call is routed normally. 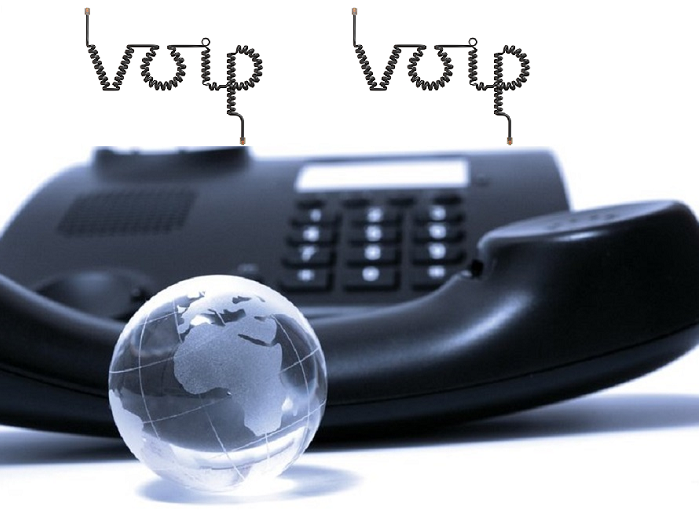 (VoIP) Voice over Internet Protocol use by several phone companies to outlined networks by routing their hundreds of phone calls through the circuit switch into an IP gateway that can reduce the bandwidth which they are using for the long period of time. One can make call anywhere if they are having broadband connectivity. Another use of VoIP can be done through soft-phone, which is basically client software that loads VoIP service on the desktop or laptop. Features of VoIP and why to prefer VoIP for smaller business? This feature records one’s voicemail messages to texts and then sends them as an email. One need not to worry for the names, addresses and numbers and can read them at the time of leisure. Through this feature data tracking is done to find out where to direct the company’s time as well as energy. The inbound and outbound call detail report lets to view company’s call history including many other things. If the company needs to put callers on hold, this feature is required. Do not integrate terrible music or just silence with the system. This feature allows one to look at the number on the caller ID and then allow them to choose how to treat them. So, one can talk to those whom they wish to talk. This feature allows one to create list of numbers where one can be found before call gets pushed over the voicemail. This feature allows one to integrate analogue door phone so that one can attend two way calls with the visitors and then unlock the door from the phone if it appears to be worthy. Thus, these features are highly beneficial for small businesses for making VoIP connection calls. One can also opt for soft calling technique that could greatly contribute towards soft calling technique. If you're in search of any reputable and professional VoIP Services for your small business then we highly recommends VoIP technology for making affordable phone calls that are used by telephone systems in Sydney.